VCOSS is committed to creating a strong and thriving community sector. We do this by helping organisations be more efficient, effective, collaborative and strategic. 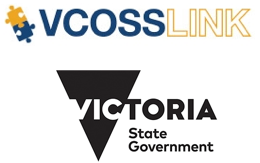 Many of the programs, tools and initiatives listed in the VCOSS Sector Hub are made possible with the generous support of the Victorian Government. If you are an existing VCOSS member please activate your login to get the most out of the VCOSS Sector Hub. Tools and resources to make your organisation thrive, sourced from across the community and social sector. VCOSS convenes and supports a number of collaborations, and represents members on a variety of panels and advisory bodies. VCOSS consults widely to ensure our policy platform is current and relevant. Make sure your voice is heard. Building the capacity of the ageing, disability and mental health sectors. Make Not-for-profit Law Training part of your community training or capacity building program. A free, guided self-assessment tool to make sure your organisation is governed well. Secure your spot at upcoming VCOSS, member and sector events. Let us help promote your event to our members and supporters. VCOSS enews arrives in your inbox every second Wednesday, brimming with issues updates, sector news alerts and funding opportunities.